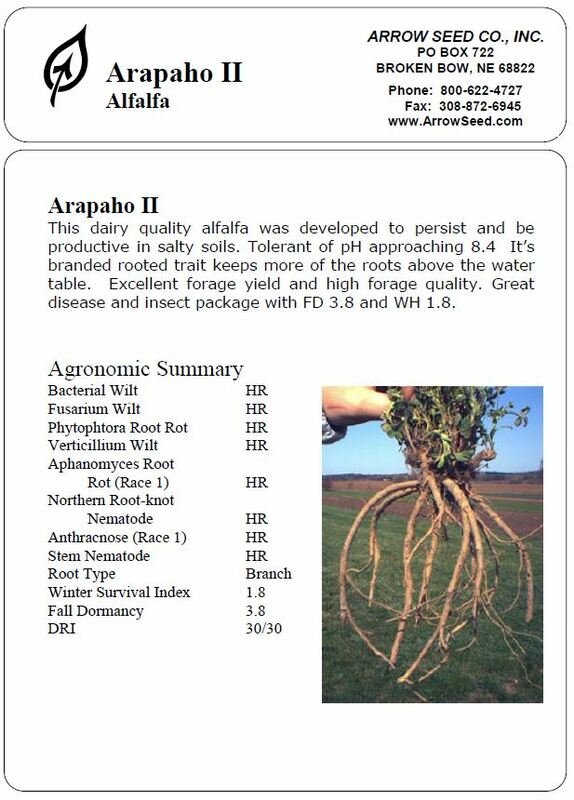 This dairy quality alfalfa was developed to persist and be productive in salty soils. Tolerant of pH approaching 8.4 It’s branded rooted trait keeps more of the roots above the water table. Excellent forage yield and high forage quality. Great disease and insect package. Fall Dormancy 3.8 Winterhardiness 1.8.